How Long Do Prepackaged Leaders Last? Question: Saw your column on prepackaged leaders. Here’s a parallel question: How long will those unopened, prepackaged leaders last in my vest or gear bag? When do I toss them, or should I wait until I start losing fish? Some even have expiration dates on them. Should I toss all that are past their date? “This is a difficult question to answer, as there are so many variables aside from time to consider—UV exposure, temperature, humidity, chemicals (DEET, sunscreen), etc. The one factor that many people fail to consider is heat, especially the kind that is generated in a car trunk or on the deck of a boat in July. These extreme temperatures can, over time, break down the material quickly, even though it is not exposed to UV. You should store excess leaders and tippet in the house—not your vest—preferably in a cool place; some people even keep them in the freezer. Your vest/chest pack is actually the worst place to store leader and tippet. 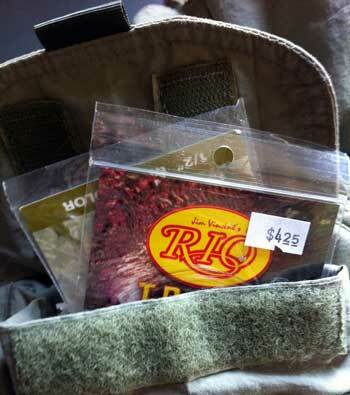 Take what you need to fish that day or on that trip, and leave everything else at home. By the way, if you’re occasionally stymied by the challenge of unwrapping a prepackaged leader, check out my earlier column on how to do it correctly.